UK band Resonators is back after a four-year long hiatus. The two singles – Imaginary People and Healer – off the new album have been championed by the one and only David Rodigan. Imaginary People is their third album and it collects slow and soothing meditative roots with ethereal backing vocals and rumbling bass lines, including the bulldozing Come Through. Two lead vocalists trading places in front of the microphone along with lots of psychedelic dub effects also provide plenty of diversity to the nine sonorous cuts. Can’t say I had heard much about Resonators up until this year when the two singles were released, but they can easily be filed next to bright shining vintage-sounding UK acts like Soothsayers and King Solomon. 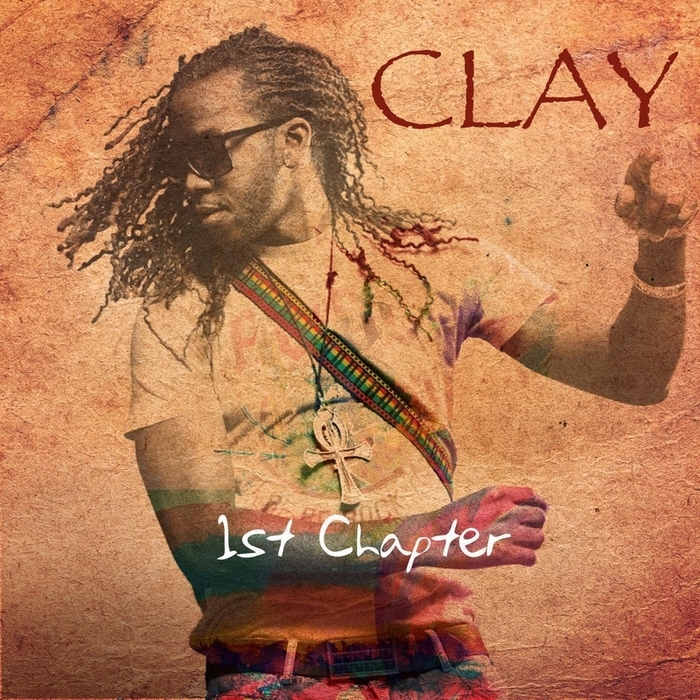 Clay – a producer and songwriter that has now also turned to singing – has just released his solid debut EP 1st Chapter, a seven track set with traces of nyabinghi, contemporary roots and R&B. Clay is a classically trained pianist with drums as his second instrument and guitar his third. He has previously established himself as a powerful source in the music industry with productions for successful urban artists like dancehall superstar Sean Paul, rapper Chipmunk and R&B singer Starboy Nathan. Born in Jamaica some 30 years ago he now lives in the UK. His debut set doesn’t sound like UK reggae in general. No dubstep, no aggressive bass lines and no bashment. 1st Chapter leans more towards sounds coming from Germany, France and Italy. It’s well-produced and slicka contemporary one drop, with especially well-crafted vocal arrangements and infectious choruses. It’s easy to fall in love with parts of this set, particularly the melancholy and darkness that is expressed in the more conscious cuts. Haunting album opener Shadow After Dark sticks like glue, and so does evocative and up-tempo tracks like Exodus and Fire. Clay has stepped out of the shadows and is now an artist in his own right showcasing his passionate and vibrating vocal style. He has so far only put out the first chapter in his story and I’m certainly keen to hear more. 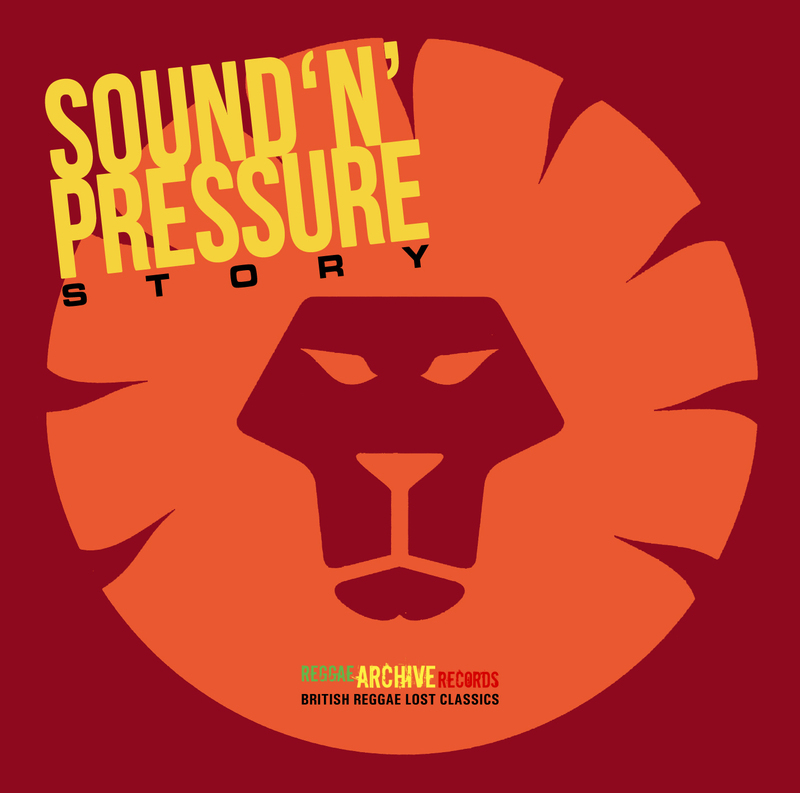 On UK veteran soul and reggae singer Lloyd Brown’s 16th studio album he presents a smorgasbord of vintage and modern urban reggae styles fused with vintage and contemporary soul and R&B. 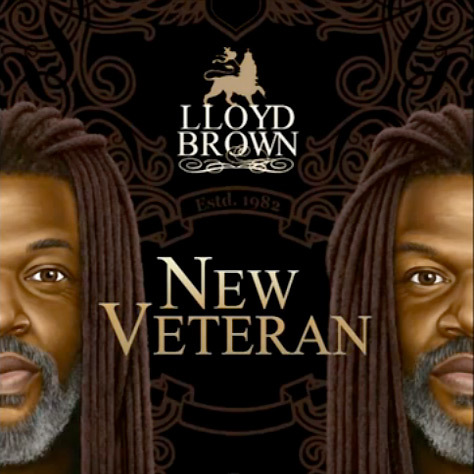 Lloyd Brown is a traditional, confident and reliable singer, much like some of his contemporaries, including Glen Washington, Richie Stephens and Nerious Joseph. His featherlike, seductive and smooth singing is particularly well-suited for romancing ballads, but he is equally at home with both heavier and more up-tempo styles. New Veteran is – just like some of his most recent output – released on his own imprint Riddimworks and based on the work from a number of different producers, including himself. And this makes New Veteran a bit non-cohesive, but that is not necessarily a bad thing since there isn’t a weak moment. The other day I actually listened to the album for three hours straight. Lloyd Brown has always been fond of both covers and combinations and this 15 track set is no exception. He has invited veterans and newcomers alike coming from the reggae, dancehall, soul and hip-hop arenas, including soul diva Kele Le Roc, teenage dancehall sensation Shanti Force, Jamaican singjay Tanya Stephens, guitar virtuoso Junior Marvin, UK hip-hop artist Mystro, an excellent unknown soul singer called Mikie Blak and the the late Dennis Brown on a cover version of the Eagles’ mid 70s smash hit Lyin’ Eyes. The album is currently only available on iTunes, a distribution tactic I’m not particularly fond of. The sound is a bit thin due to the hard compression and it’s better for the consumer to be able to choose their favorite platform instead of being obliged to use this poor outlet. Andrew Passey, aka Alien Dread, is a UK mixing engineer and producer affiliated with Martin Campbell, a fellow Englishman as well as producer, singer, multi-instrumentalist, composer and owner of the Channel One UK imprint. Alien Dread has since the 80’s been mixing and producing dub and roots reggae, but has, just as Martin Campbell, stayed away from the brightest spotlight. A shame really since their music is heavy as hell. 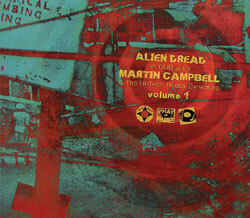 On a recently released three volume set Alien Dread has taken riddims from the Martin Campbell vaults and dubbed them in fine style. The riddims are broody, minor key and easy to nod your head to. They hail from the 70’s and onwards and the dub mixing, heavily inspired by the dub kings of the 70’s, was done in 2011 and 2012. 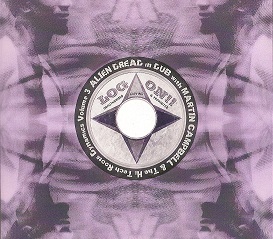 All in all the three volumes – titled Alien Dread in Dub With Martin Campbell and the Hi-Tech Roots Dynamics – collects 30 tracks, of which at least two are available on CD for the first time. The dubs are inspired with plenty of instrumentation in the mix with Martin Campbell’s vocals flowing in and out of the echo chamber. All three sets are now available on CD and digital platforms. Last year’s On the Ground was Bristolian band Black Roots’ first album in more than 20 years and was rightly praised by critics and fans. The success has now spawned a dub counterpart to the original vocal version. Its title is simple and effective – On the Ground in Dub. It collects 15 of the original 17 tracks. For some reason Capitalism and the title track didn’t make it for the dub version. In classic dub fashion the music has been stripped down, rearranged and recharged, but without losing any of its bright and catchy melodies. This is partly thanks to the excellent and downright awesome horn section and partly thanks to the mixing style courtesy of Louis Becket, who hasn’t drowned the music with the usual dub effects. The drums and bass are the mains ingredients, which gives the horns plenty of space to do their beautiful thing. It’s sweet with plenty of hooks, yet still militant. The press release describes the album as a “a modern dub classic”. I can only agree. 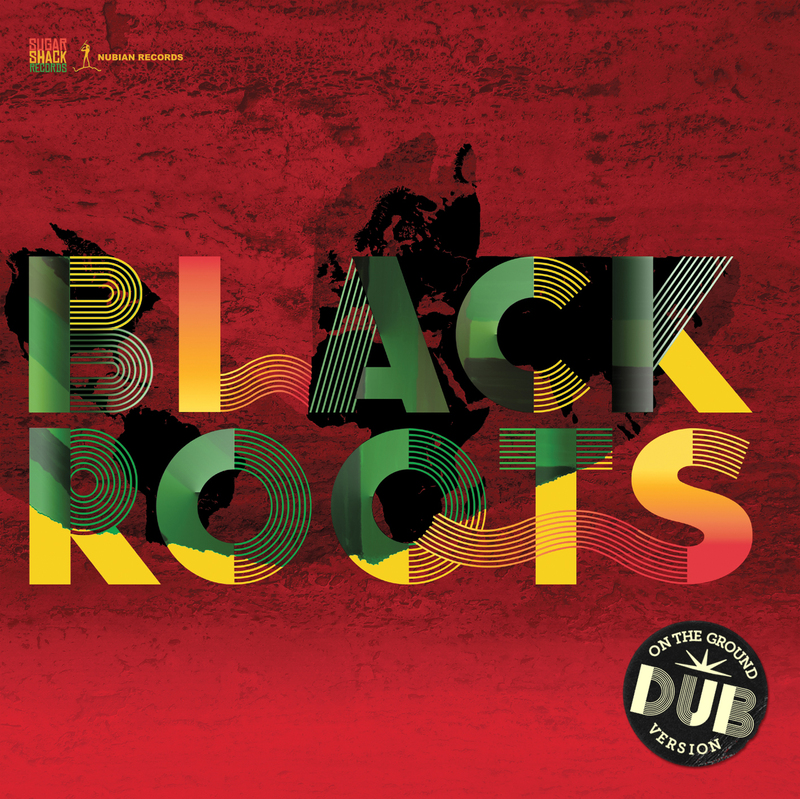 Definitely one of the best contemporary dub albums I’ve heard in many years. On the Ground in Dub is now available on CD and digital download. Veteran UK singer, producer and musician Paul Fox may not be a household name to the casual reggae fan, but he has been around for 20 years touring and recording with producers and artists such as Nick Manasseh, Alpha & Omega, Rod Taylor and Michael Rose. He has worked extensively with renowned UK percussionist, session player, producer and chanter Jonah Dan, who contributes with his bongo skills on Paul Fox’ latest album Hold Tight. This 16 track – ten on the LP edition – showcase set, where each vocal is followed by its dub counterpart, is a fine slice of atmospheric 90’s tinged UK roots and dub. Paul Fox’ soft, whispering voice contrasts nicely with the pounding and pulsating drum and bass as well as the echo-laid guitars and keyboard. To soften up the big bad sound there’s also bright and melancholic flute, harp and melodica added to the instrumentation. Highlights include the smoky Trouble In the World and the dramatic Time For A Change and First Light. Two lyrically uplifting tracks with somber melodies sounding like they’re made for giving workers an extra boost and fighting spirit just before the revolution. The UK has over the years produced several successful roots reggae outfits, particularly in the 70’s with bands such as Aswad, Steel Pulse and Black Roots. They were however at their best more than 30 years ago and since then not many bands have evolved on the island. One band that waves the red, gold and green high and proud is The Amharic, a three piece band from Brixton. Since their inception in the 90’s they have been far from prolific, but have managed to put out four strong albums. Their fifth was sneaked out in December last year and sadly has very poor distribution and the efforts to marketing it seems to have been close to zero. This is very unfortunate since Stop and Search is a brilliant 13 track set of hard-hitting roots reggae with echoes from the late 70’s and early 80’s. It was recorded in Jamaica and the UK and is mostly based on live instrumentation along with socially conscious lyrics dealing with issues such as war on drugs, terror, the legalization of marijuana, police brutality, faith and cell research, with the controversial cloning of Dolly the sheep as an example. 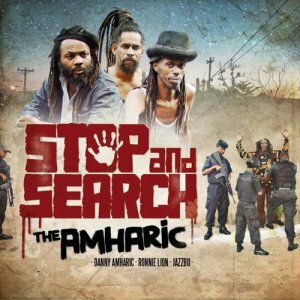 Stop and Search is only available on CD and only from Irie Records, but don’t let the poor distribution or the singular format stop you from searching out this album. It’s well worth the effort. Lloyd Brown is one of the most reliable and consistent artists from the UK, and this year he celebrates 30 years in the music business with the aptly titled 20 track album 30, his 15th full-length album. During his long career he has been singing in the band Sweet Distortion, been a pivotal figure on the British lovers rock scene and for the past 15 years or so he has released several eclectic, but mostly reggae-based, albums. 30 is more or less a reggae album, even though there are other influences, mostly from soul and R&B, and Lloyd Brown has for example invited Julie Payne for a cover version of Philly vocal group The Three Degrees’ international smash hit When Will I See You Again. On several albums Lloyd Brown has paid respect to Bob Marley by doing both covers as well as versions, and 30 is no exception since he utilizes the classic Could You Be Loved riddim for his marvelous Catch the Feeling. He also pays tribute to the late Dennis Brown, a little less unsung hero compared to Bob Marley. Lloyd Brown’s tender and delicate voice is always a pleasure and 30 also boasts a number of tasty relicks of reggae and rocksteady riddims complete with exquisite musicianship, particularly the horns arrangements and the airy guitar solo in Right There. United Reggae’s Angus Taylor once wrote that Lloyd Brown is a cert for every best album of the year list, and I have a feeling 30 is a strong contender for this year’s list.